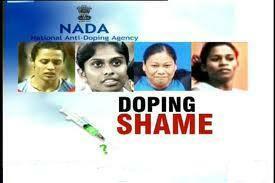 Read this article to know more about doping scandal which took place few days back. It includes positive test for eight Indian players, who found guilty of taking H performance enhancing drugs and their past achievements has also been terminated by Indian sports council. Four Indian officials membership is terminated including Indian coach RS Sidhu. In this article I will explain the names of athletes and SAI officials tested positive during doping scandal. The Indian government takes a big decision on 6th June by removing four SAI officials who are involved in doping scandal. It also includes eight top athletes, who failed to clear doping test. An official report of governing council was showing positive sign of taking drugs. When Ajay Maken was given marching orders to Yuri Ogorodnik, about trail doping test of all six athletes who was on training with Yuri Ogorodnik then he also claimed that if any athlete found guilty of cracking doping rules then he/she will be provided with hard punishment. After this decision of Indian sports ministry, Indian Coach RS Sidhu and other two women of Elite sports women hostel are dismissed. It also includes foreign coach, Yuri who was on training with six Indian players and he has been relieved of his services. The sports ministry removed RS Sidhu by giving reason that he is in charge of women's 400m, 400 m hurdles and 4x400 relay and he did not done services with full loyalty. Moreover, news coming from centre which shows that another Indian coach Ramesh Nagapuri also removed from his position. Eight dismissed players include Ashwini Akkunji, Mandeep Kaur, Simi Jose, Jauna Murmu, Tiana Mary Thomas, Priyanka Panwar, Hari Krishnan Muralidharan and shot putter Sonia. Indian sports council forces Athletics Federation of India to submit a factual fast-finding report on recent dope positive incidents took place. Moreover, Sports counsil also requested president secretary of NSF to submit details of competitions at all levels to DG of NADA. Indian sports committee is going to refer Disciplinary Panel for constituted under NADA rules. Many players signed a fight against by giving reason that they are already in favour of a medical physician, who help them what to take and what to avoid. It is responsibility of Indian Drug General Controller and State drug Controller to take a look at chemists who are involved in selling of H performance enhancing drugs. Indian sports committee is going to organize seminars for players so as to create awareness among players regarding the drugs education. Special international coaches and other support staff will lighten H performance enhancing drugs. Moreover, Indian sports committee has circulated a notice to all officials so to maintain a healthy environment for Indian sports.